Imagine Art Club has been founded in January 2012 and has grown to be a successful Saturday school as well as after school club. At Imagine we are passionate about developing children's imagination through working with a variety of media and learning about main art movements. Your child will not only explore how to use materials such as watercolour, acrylic paint, charcoal, clay, pastels or ink. They will also study works by famous artists and interpret their style. As a part of the course we offer child friendly art visits to London's most important museums and galleries. Imagine Art Club has been very enthusiastically received by children, parents and teachers. It has a great impact on children's confidence and understanding the value and significance of Art in the wider society. The Club is led by Agnieszka who is an experienced tutor, museum educator and visual artist working with children. 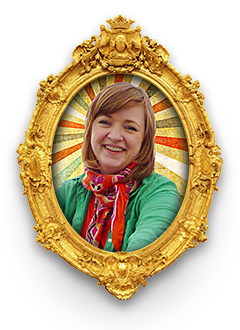 For the last 4 years she has been designing and delivering art activities at the Wallace Collection, Victoria and Albert Museum, primary schools, libraries and community centres. Agnieszka likes architecture, hunting for interesting objects in museums, collecting pebbles on the beach but most of all she loves teaching and inspiring young people through art.